This charming country home on 3 acres comes with a 2-car AND a 5-car garage, AND a 36 x48 pole barn suitable for your RV:, all with concrete floors and insulation. The 5-car garage has 200 amp. electric. 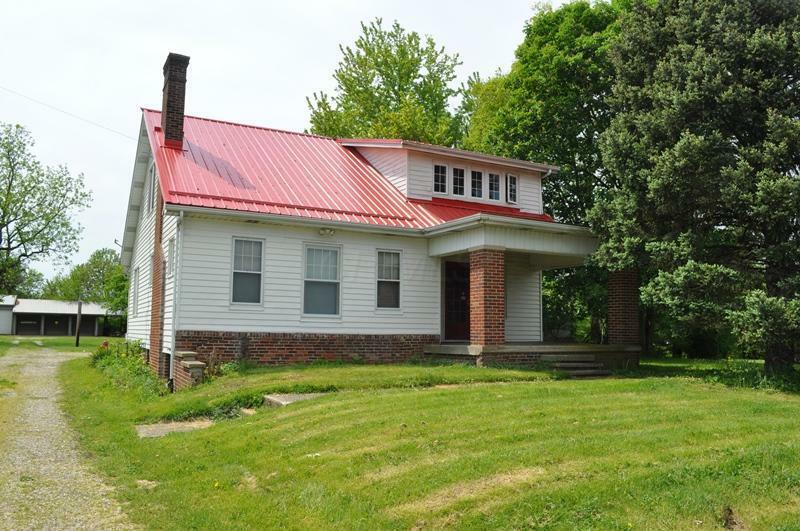 The home features 1st floor owner bedroom w/half-bath and den/office, 2-spacious upstairs bedrooms, 1st floor laundry, large country kitchen, dining room, & living room w/propane stove and fireplace. Plenty of storage inside and out. 200-amp electric. Long-lasting metal roof. Also features a large deck w/hot tub, and a summer kitchen.Possession of house and 2-car garage at closing.